One of the things I love about this shade is how closely it matches to the inspiration photo. 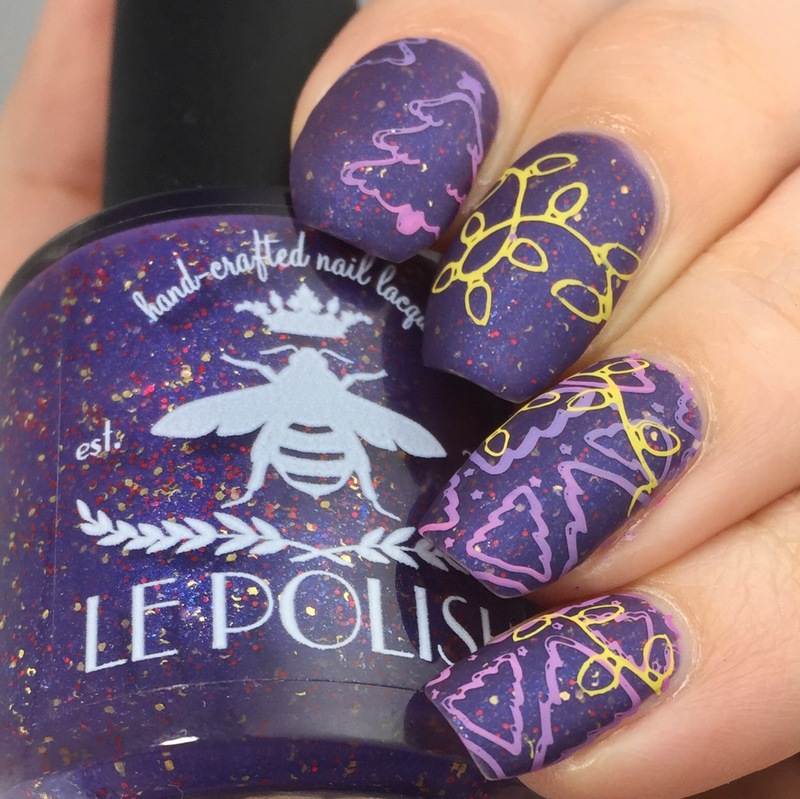 Since I’m a super literal person, I decided to take that one step further with this nail art…with tree stamping and an on-palette set of stamped colors. Plus, in honor of that quiet snowfall feeling, I made the look matte. For this look, I started out with my three day old “It’s Snowin’, I’m Glowin'” swatch mani (yeah, wear time is that good). 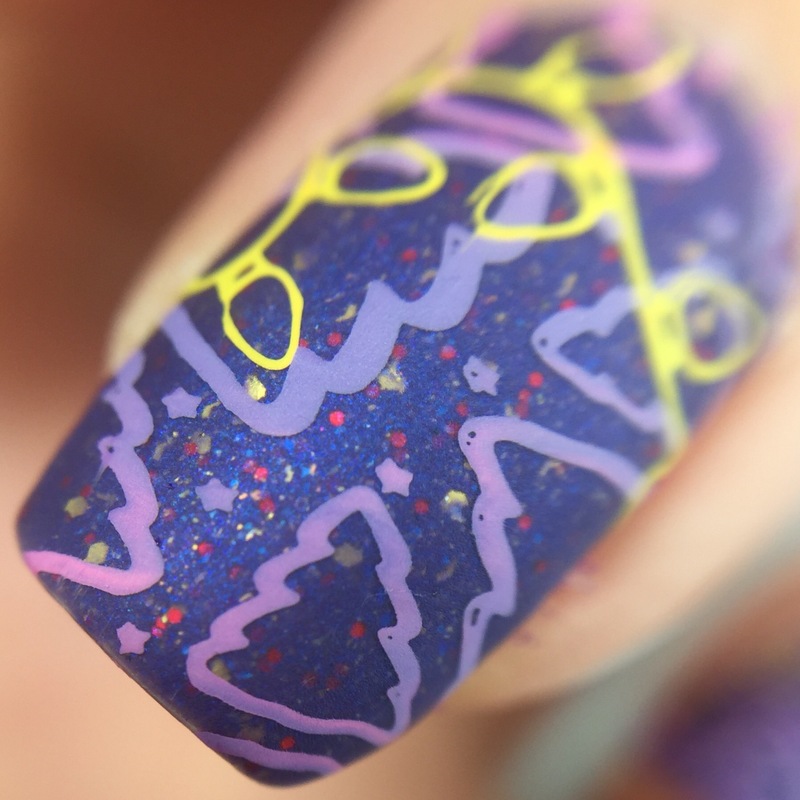 Then, I used the Christmas-01 stamping plate from UberChic to do multicolor trees. 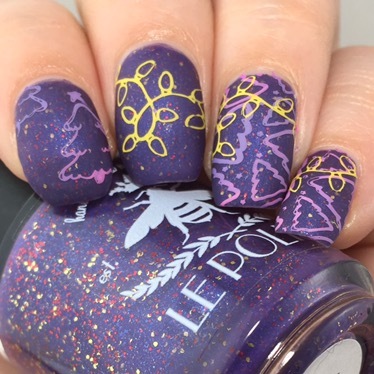 I swiped on both pink and purple stamping polishes from Dance Legend (I find these work best for me) and then smoothed them together before picking up the image with my squishy stamper. 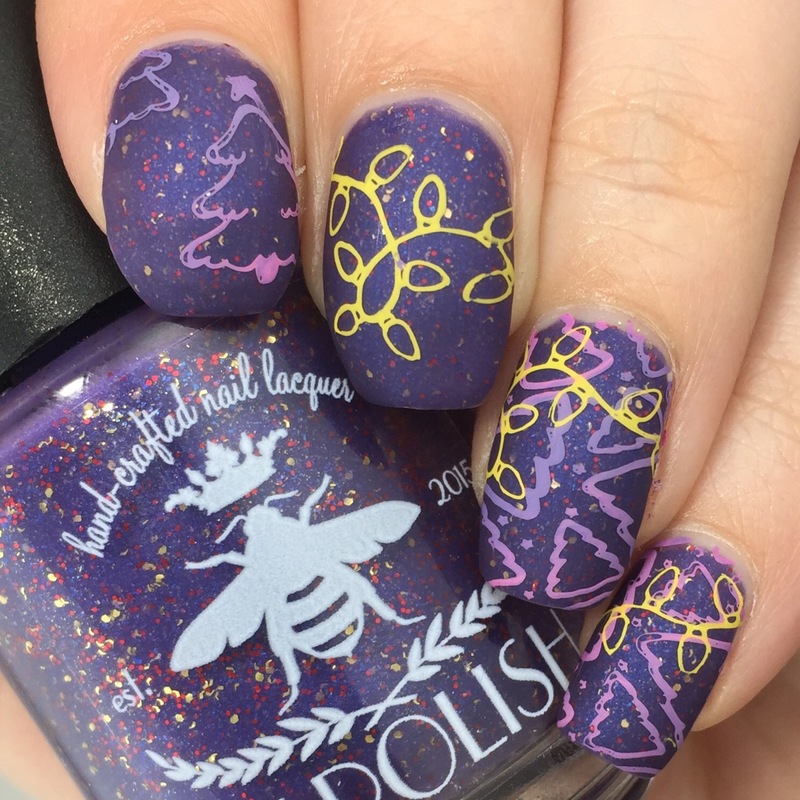 Over that, I used yellow Dance Legend stamping polish to add a string of lights over several nails. Over it all, I used Essie’s Matte About You (not my favorite matte top coat, but the one I currently have). Like what you see? I’m super ecstatic to say that you can actually but this shade! It goes live on the Le Polish site with the rest of the 12 Days of Polish Collection at midnight EST on November 25th. Pick it up! And matte it, because it’s deep and velvety and fantastic.